"Owing to the destruction by fire in September of the Mechanical Hall the entire work of the college was greatly embarrassed for want of room to accommodate properly the large number of students in attendance. At the special session of the Legislative Assembly of the State of Oregon there was appropriated twenty-five thousand dollars for the purpose of replacing the buildings destroyed. Early in January, there was completed a one-story brick power house and blacksmith shop costing twenty-four hundred seventy-eight dollars and sixty cents." "A new two-story stone building was contracted for and was to have been completed April first…It will soon be completed…This elegant new building is well arranged and will accommodate a large number of students. It will be a credit to the people of this State and to this school. The money received from the insurance on the property destroyed by fire will be ample and adequate to meet the deficit on the cost of these buildings and also furnish them with improved modern machinery, implements and furniture. This branch of work at the college will be greatly improved." One of the most substantial, as well as elegant, structures on the campus is Mechanical Hall, recently finished. With its solid stonewalls and galvanized iron roof, it is constructed as nearly fireproof as modern architecture can make it. The power furnished for the machinery in this building is electricity from the power house—200 yards to the west. On the first floor are found the machine shops, the printing office, the physical laboratory and various recitation rooms and the office of the professor of mechanical engineering; while the rooms in the upper story are occupied by the departments of botany and horticulture, mathematics and civil engineering, and the classes in woodworking, mechanical and freehand drawing. The Biennial Report for 1906-08 shows removal of machine and woodworking shops to the new Mechanical Arts building. 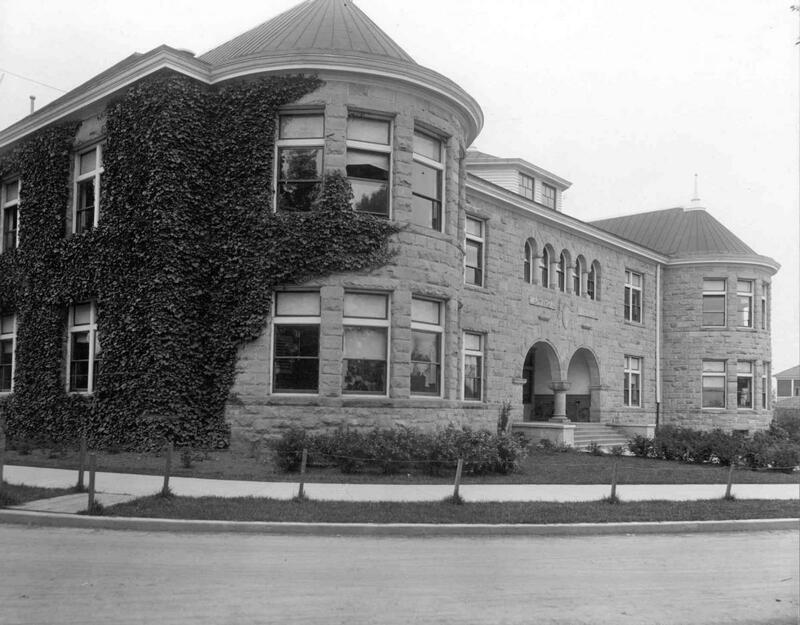 The two vacated rooms in Mechanical Hall were remodeled for an instrument room; an office for the department of Civil Engineering; a classroom; an Electrical laboratory; classrooms for Electrical and Mechanical Engineering, and a general engineering laboratory. The cost of these improvements was $1,141. 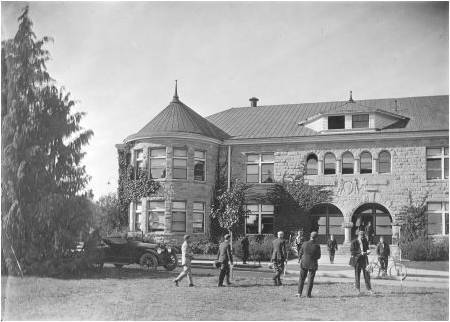 The catalog for 1915-16, p. 36-37, shows additional classes in highway, irrigation and experimental engineering crowding the building.